Growing corn is great and it doesn’t have to be complicated. You can start growing corn in your backyard garden this year! 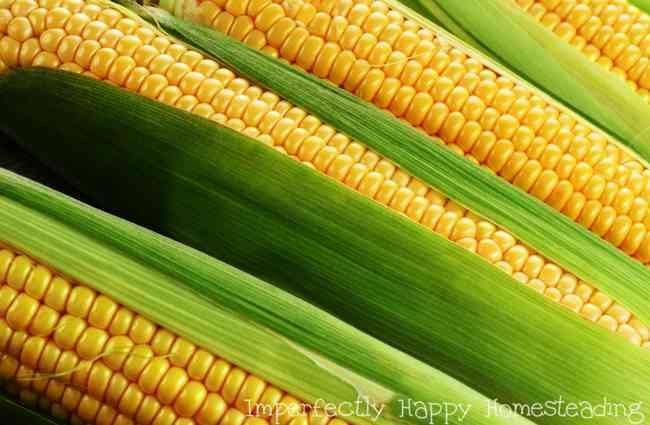 Today I’m going to give you the tips and information you need so you’ll have an amazing corn harvest from your garden. I’ve been asked a lot about growing corn and I’m not really sure what this vegetable seems to intimidate some gardeners. Growing corn isn’t complicated, you jut need a bit of knowledge and space to start your rows of corn goodness! Corn comes in some amazing colors are varieties. 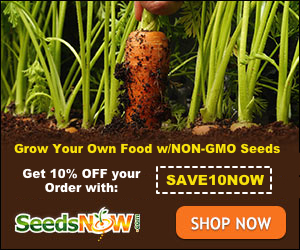 I cannot say enough about choosing a non-gmo, organic seed to start with; better for you and better for your garden (check out GMO – Ignorance is Deadly). Organic Rainbow Corn – gorgeous heirloom corn that is almost too pretty to eat…almost. Sweet Bantam Yellow Corn – A sweet corn heirloom with 5 – 6″ cobs because this smaller variety is only 5′ tall plants can be grown closer together; perfect for the container garden! Strawberry Popcorn – Grow a gorgeous bowl of RED popcorn. These are just a few different corn varieties you can look at. I always recommend checking your local seed bank because those come from plants already grown in your area and have the best chance of doing really well. The best soil for corn is going to be warm and loose, with plenty of drainage. If you live in a cooler region you can find some corn seed that has been developed to do well in cooler soil but make sure that it is indicated for this. Your soil should have a neutral ph with plenty of nutrients. Make sure to give your soil a good infusion of fresh compost. If you don’t have compost then I recommend do some amendments to give your corn the best possible start. Choose an area of your garden that gets plenty of sun; corn likes full sun. Corn does best sown directly into the garden, you may consider soaking them overnight to plant pre-sprouted. You can do transplants but make sure to get them into the garden when they are just a few inches tall. I would also say it is best to grow them in a “pot” that can be planting directly into the ground instead having to remove the plant from a container. You can grow corn in containers and/or Square Foot Gardens. It is best to choose smaller varieties for this. It is recommended that you only grow one variety of corn in your backyard garden to avoid cross-pollination. Consider implementing crop rotation for the best results in your garden! Corn needs a lot of water for healthy plants and a good harvest. You’ll want to water deeply 1 – 2x a weekly versus shallow daily watering. Corn is a vegetable that will require extra fertilization during it’s growth. I like to give mine compost a few times during the season to make sure it is getting everything it needs. Keep weeds back from your corn so they aren’t competing for food and water! Your biggest issue with pests will be fighting off the animals that want to eat your corn! So take some precautions to protect it. Corn borers can be an issue, and ladybugs can be a HUGE asset in keeping them at bay. You may want to consider using a garden dust like BT, which is considered compliant for organic gardening. When growing corn it is important to remember that most heirloom varieties of corn will only give you about 2 ears per stalk (plan accordingly). Depending on the seed you choose it could take 60 – 90 days for the corn to mature and be ready to harvest. Corn silks should be mainly dry and brown. You want a a rounded top (not pointed). A tester kernel should be firm with a milky liquid inside. To pick your cob, grasp it, bend down and twist. The best time to pick your corn is right before you’re ready to eat it. Put fresh corn ears in your refrigerator as soon as you pick them and keep them chilled until you’re ready to use. If you aren’t going to eat them the same day then I’d recommend using with in 3 days of picking. Corn is great canned and or you can freeze the cobs whole and use later! Great blog!! I wanted to thank you for putting up my books in the free kindles. It makes the difference.